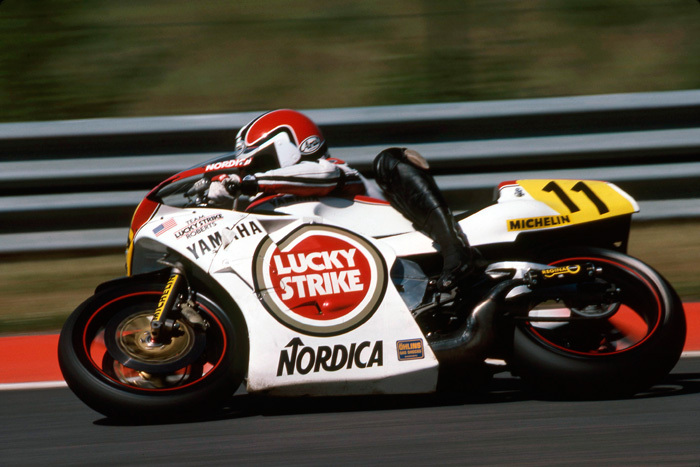 Mike Baldwin - race | Yamaha Motor Co., Ltd.
Born January 1955. 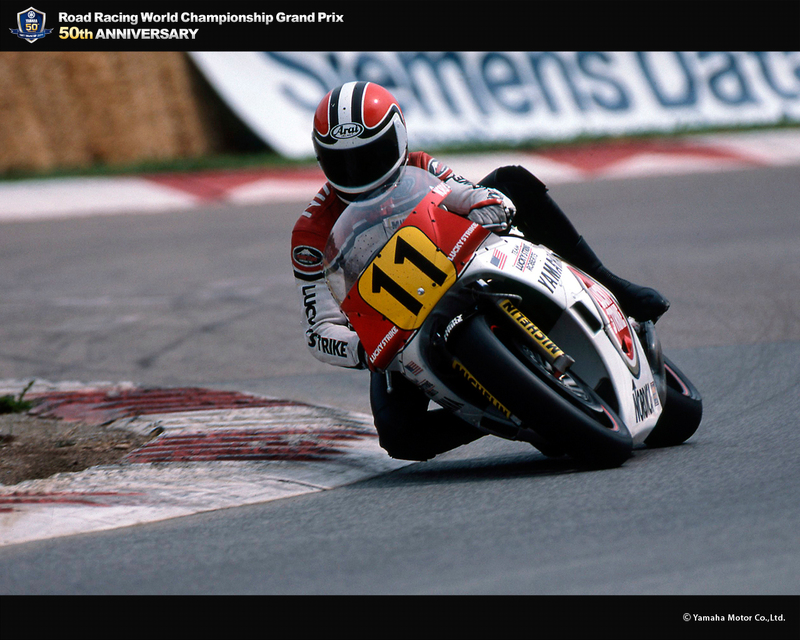 Began riding motorcycles at age 16, and at around 19 years, raced amateur racing. 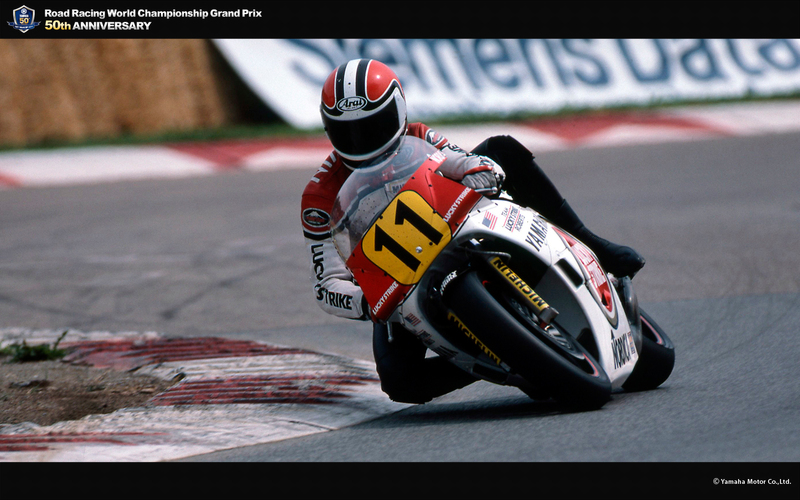 In 1975, he polished his competition skills in the United States by participation in the AMA Championship Novice 250cc class and in dirt track racing. Then, in 1978 won the AMA F1 on a Yamaha TZ750, and from 1982 to 1985 dominated the Formula 1 with four consecutive F1 title wins (Honda). 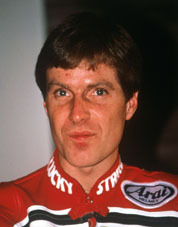 From 1978, he participated several times participated in the Suzuka 8 Hours Endurance Road Races, winning the event three times (1978, 1981 and 1984). 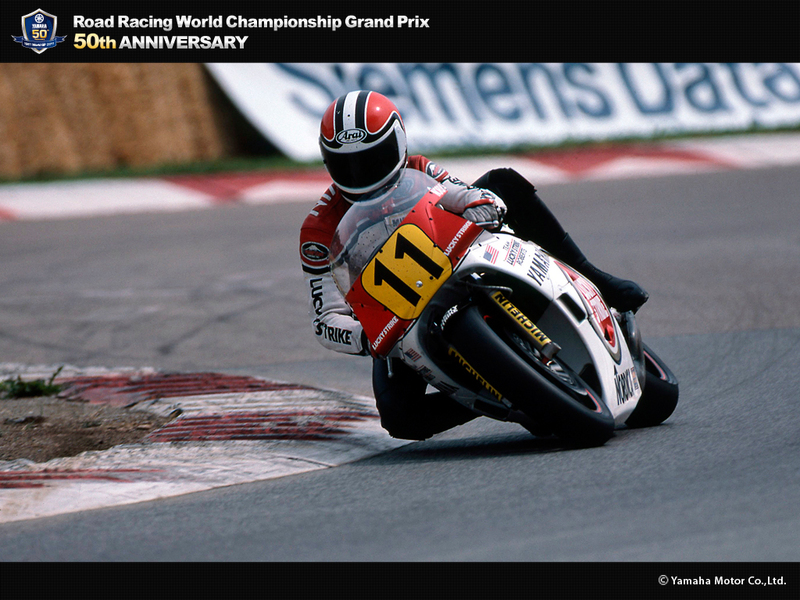 This experience paved the way to his entry in the World GP500 for the first time in 1979 (Suzuki). 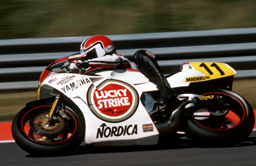 From 1986, rode a Yamaha YZR500 under Kenny Roberts and was ranked 4th in that year. 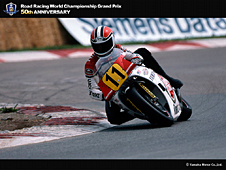 Appeared destined for further impressive achievements, but pulled out of the 1987 Japan GP as a result of a crash and was subsequently afflicted by injuries, which seemed to stall his career. Finally withdrew from GP racing in 1988.